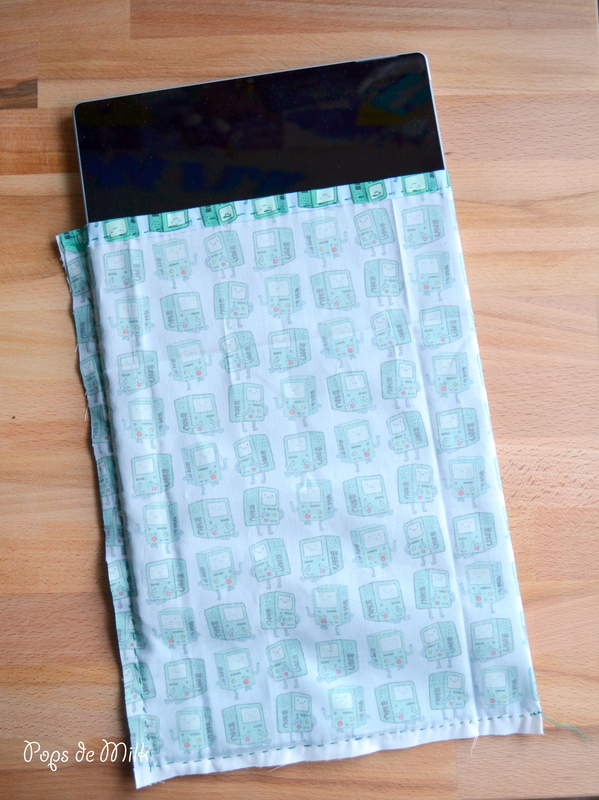 Recently we purchased a tablet and, after setting it up to my liking, my immediate thought was to make a case for it. 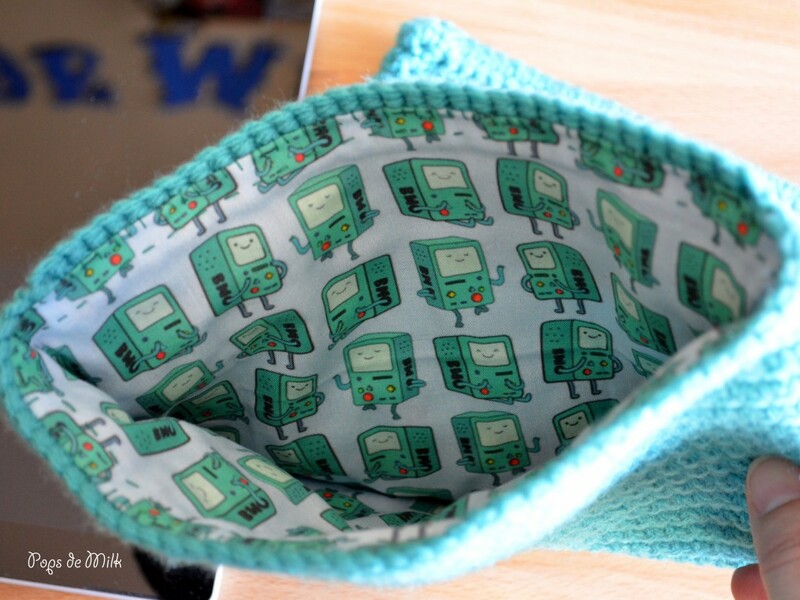 The last time I made a tablet case was for my iPad by using an old book. This time, because I’m so hooked (get it, hooked?) 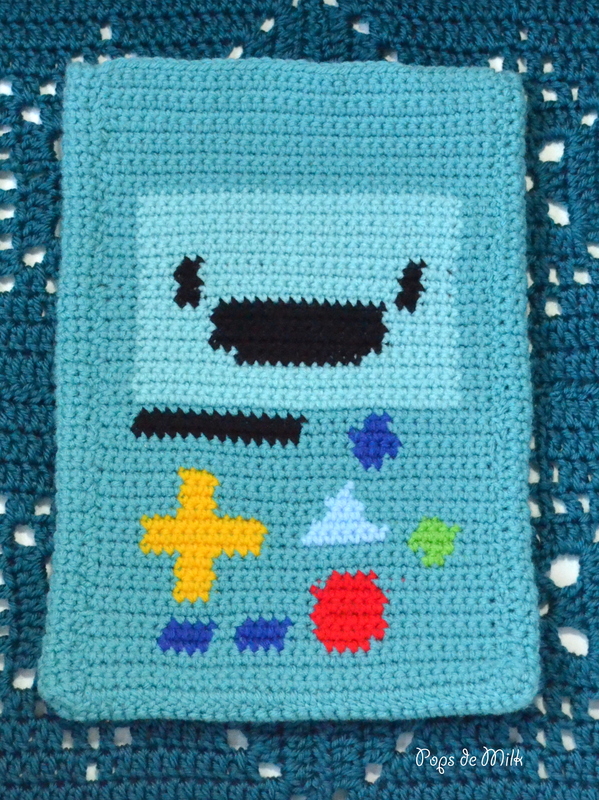 on tapestry crochet I decided to do something cute and geeky. 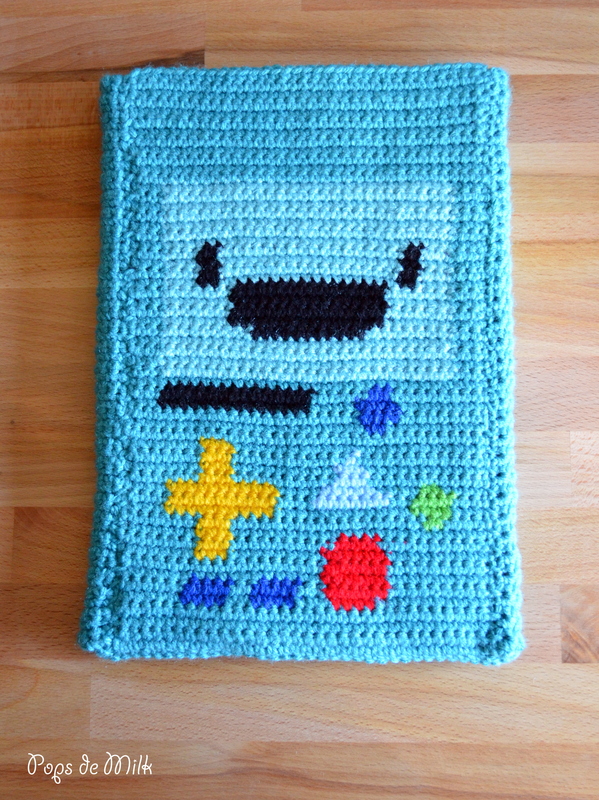 It didn’t take me very long to realise that BMO from Adventure Time would be the perfect design for a tablet case. If you’re new to tapestry crochet check out this previous post on colour changes. 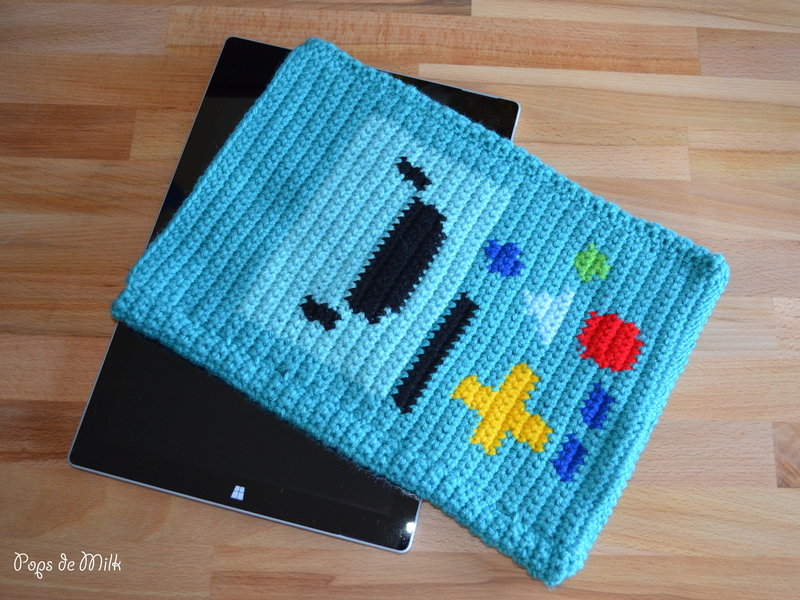 To make this case I created a crochet chart, hoping that the finished size would be the perfect measurement for the tablet. But it was a little small so I improvised by making the back piece (which is a solid colour) wider as well as adding rows to give it length. 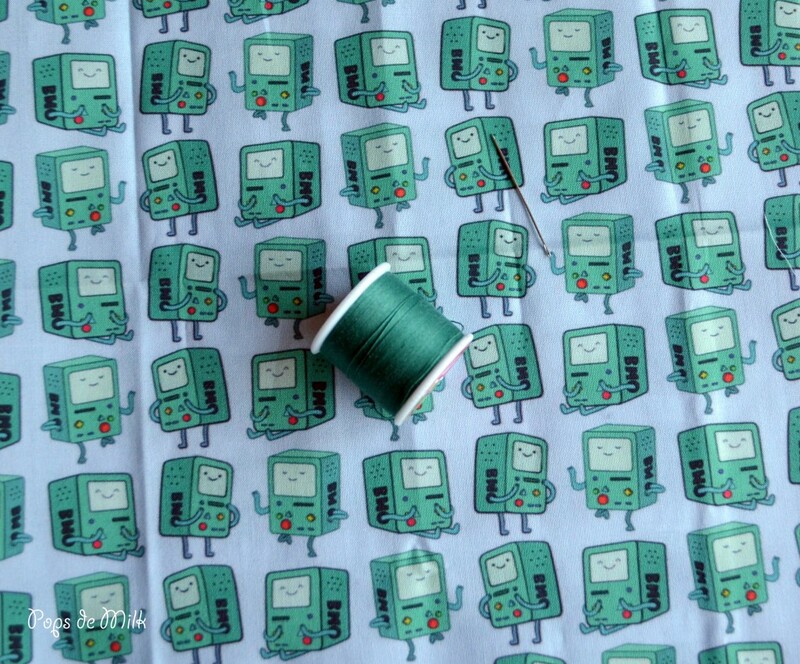 For a liner I used this adorable BMO design from Spoonflower – so many fun fabric designs on this site! Once I sewed everything it all came together perfectly. 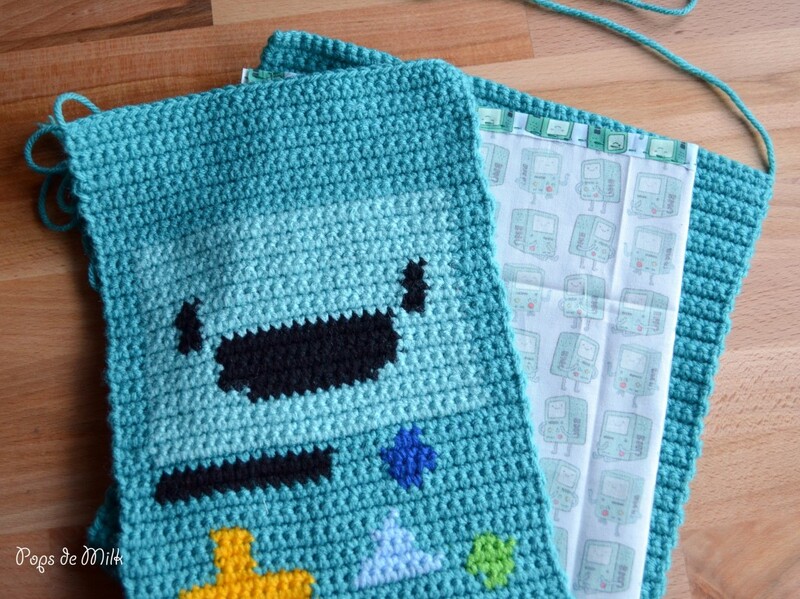 Download the BMO crochet PDF chart here. This is mega-cute! I don’t know the character, but he/she/it is adorable! Heehee thank you Lisa 😀 When I had finished it I couldn’t stop staring and smiling at it heh.